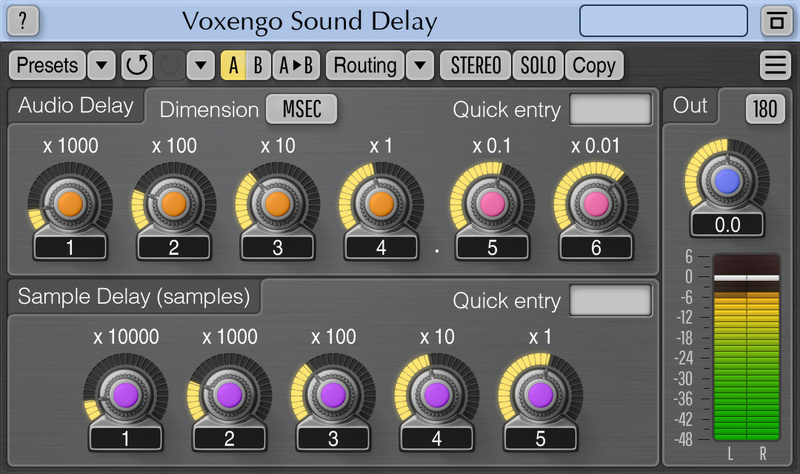 Sound Delay is an auxiliary multi-channel signal delaying AAX, AudioUnit and VST plugin for professional sound and music production applications. You may specify delay time in both milliseconds and samples, with a high level of precision. This plugin – being technical in its purpose – provides a basic signal delaying function only, without signal feedback or modulation capabilities.